Electronic warfare (EW) involves the use of the electromagnetic spectrum to sense the enemy, better defend against attacks, and initiate effective attacks. It takes place in the air, on the land, and over the sea, but the actions involved in EW often remain invisible to the naked eye. There are no dramatic explosions or grandiose shows of military power, yet it is every bit as dangerous. And this type of warfare necessitates robust, reliable connectors and cable assemblies. As with any military application, reliability is the first priority: failure is not an option, even in conditions that might involve exposure to rain, dust, corrosive chemicals, and extreme temperatures. In addition, interconnects for implementation in EW applications must be lightweight and as small as possible. Military equipment must have electronic components that include rugged, reliable, high-density connectors that support wide bandwidth. An excellent example of where interconnects and cabling fit into EW is radar jammers aboard Navy jets. Radar jamming is used to degrade the effectiveness of enemy radar systems and falls in the category of EW aircraft applications. While the concept of radar jamming is certainly not a new one (dating back to the 1960s and earlier), modern systems have shifted from an analog approach to a digital one. Along with this shift, engineers have been focusing on how to provide wider threat coverage, better precision, and substantially improved reliability. Both interconnects and assemblies form an integral part of the state-of-the-art electronic systems used in EW. For example, a radar jamming system alone may require several cable assemblies and numerous connectors and interconnects. If just one of these connectors fails, the entire system is compromised. Several different connector and cable assembly options meet the stringent requirements of military applications. These particular connector types are known for their ability to perform in harsh environments. Filter connectors are especially critical in applications like radar jammers, as they are used to protect sensitive electronic applications from contamination and interference. Dependable products include Amphenol filter connectors and terminal blocks and FilConn filter connectors, all of which are used extensively in aerospace and military applications. These filter connectors offer EMC compliance, improved EMI control, and effective EMI/RFI shielding. 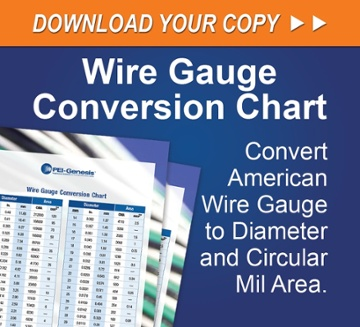 This series supports various connectors, including planar, tubular, micro-ribbon, RF and modular jacks, and D-Sub. They also work with both filtered and sealed D-Sub filter terminal blocks, as well as snap-in and bolt-in filtered headers. 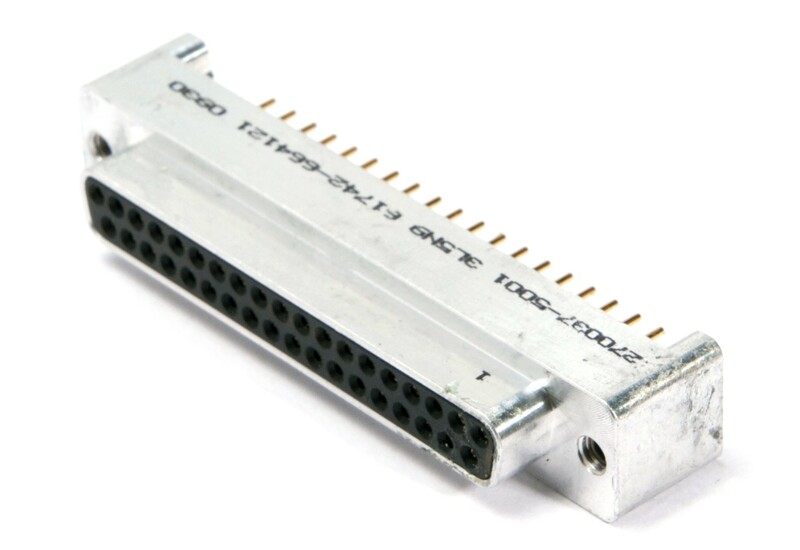 Another commonly used electronic connector is the D-Sub type connector. These connectors are typically utilized in defense and aerospace applications and can be customized to meet even the strictest of regulations. D-Sub connectors include military-type connectors (e.g., MIL-DTL-24308), Micro-D connectors, and models qualified by NASA/GFSC. D-Sub connectors are available in many different layouts and mounts, as well as in high-density variants. Available brands include ITT Cannon, Amphenol, TE Connectivity, Cinch Connectivity Solutions, Positronic, and Harting. The Micro D-Sub connectors provide the power of a D-Subminiature connector while requiring o nly half the space of a standard D-Sub connector. 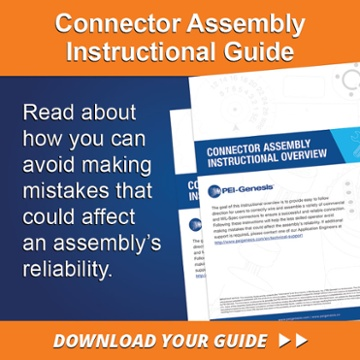 These connectors, known for their ruggedness and reliability, can be found in missiles, navigation systems, and aeronautics. Micro-D connectors are available in a range of terminations and hardware options, including several products that support high-temperature applications as well as value-added ITT Cannon MDM and MDSM Micro D-Sub connectors, in addition to standard MIL-DTL-83513 from well-established brands such as Cinch Connectivity Solutions. EW is rapidly expanding in its capabilities, and with that comes an increased demand for connectors and cable assemblies to make those capabilities possible. Some of the ideal electronic connector solutions for EW applications include filter connectors, D-Sub connectors, and Micro-D connectors that are available in both standard and customized configurations. PEI-Genesis offers custom, engineer-supported solutions for almost any imaginable scenario, when lives are at stake and reliable parts matter the most. Our military and aerospace connectors provide the reliability, compact size, and bandwidth needed for even the most demanding of EW designs.